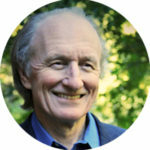 Hugh Byrne, PhD, a guiding teacher with the Insight Meditation Community of Washington (IMCW), has practiced meditation for thirty years and taught mindfulness meditation since 2000. He completed a four-year meditation teacher-training program with Jack Kornfield, Joseph Goldstein, and other senior Insight Meditation teachers and completed a three-year training in Somatic Experiencing, a mind-body approach to healing trauma. Hugh is the lead meditation teacher of the Garrison Institute’s Contemplative-Based Resilience (CBR) training for Syrian refugee aid workers in Jordan. He is one of four co-founders of the Meditation Teacher Training Institute and serves as a mentor and guide for mindfulness teachers in the U.S. He is the author of The Here-and-Now Habit, a book that focuses on how to use mindfulness to change unhealthy habits. Hugh teaches classes, including Mindfulness-Based Stress Reduction, retreats and workshops in the Washington, DC, area and throughout the United States and internationally. Hugh has a law degree from London University and a Ph.D. from UCLA and worked for more than two decades in the field of human rights and social justice. Rebecca is deeply devoted to meditation, movement, and applied mindfulness. She enjoys creating continuity of awareness from ‘on the mat’ to ‘off the mat’ in everyday life – and being a support to others in the endeavor to live an awakened life. She first discovered these practices through yoga in her early twenties, which provided tremendous support when she was facing acute anxiety. After benefiting from the gift of yoga over a number of years, her practice evolved to include meditation and mindfulness. Rebecca enjoys sharing her love of the many practices that bring us back home into presence and greater freedom. 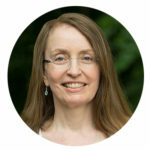 Rebecca is an affiliate teacher with the Insight Meditation Community of Washington and also has been working in the public health field within the Department of Health and Human Services (HHS) since 1993. She participated in the Mindfulness-Based Stress Reduction (MBSR) professional training program in 2006 and has been teaching the eight-week MBSR course in the Washington DC area since then. As a life-long learner, she continues to deepen her study and practice of mindfulness, meditation, and movement graduating from Spirit Rock’s Mindfulness Yoga and Meditation Training Program; the Spirit Rock Heavenly Messengers – Awakening Through Illness, Aging, and Death Program; the Meditation Teacher Training Institute; the Institute for Integrative Nutrition (2007); and the Kripalu 200-Hour Yoga Teacher Training program. Most recently she has been exploring the practice of Qigong both as a support for her own health and to offer it to others. In addition to teaching a weekly drop-in meditation class in Silver Spring, MD, and regular MBSR courses, she co-teaches residential weekend retreats with her partner Hugh Byrne, and occasional retreats in other parts of the world, most recently in Cuba.